The world renowned pastor began his higher education here in 1936 when Bob Jones College was located in Cleveland. He attended classes here for about six months and transferred to another school in Florida. Bob Jones College moved to Greenville, S.C. in 1947 and the local campus became what is today’s Lee University. In 2008 the Cleveland City Council renamed a section of 15th Street between North Ocoee Street and Parker Street as Billy Graham Avenue. In 2012 Graham’s oldest daughter Virginia “Gigi” Graham joined about 200 people here to dedicate the Street with a ribbon cutting ceremony. 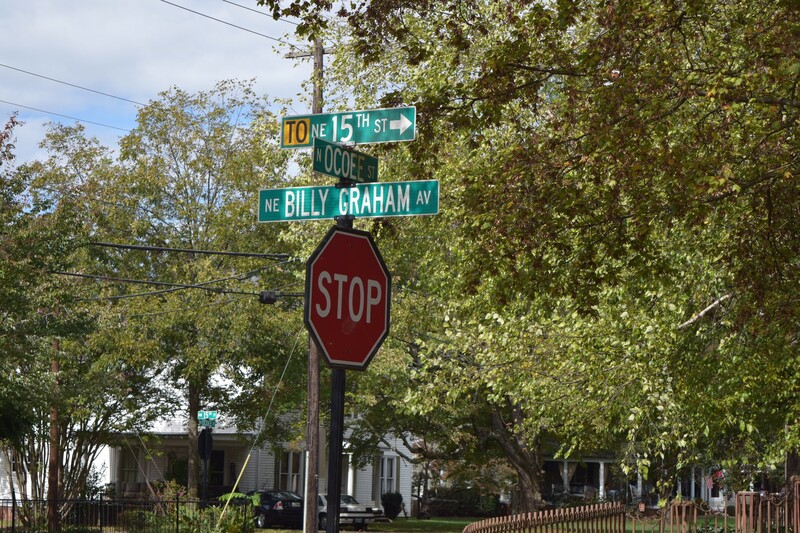 The second renamed section of 15th Street extends Billy Graham Avenue from Parker Street east to Magnolia Avenue NE. Mayor Tom Rowland proposed the additional section in honor of Graham’s approaching 99th birthday. The Cleveland City Council adopted the additional renaming on Monday. Rowland said the entire Billy Graham Avenue runs through the Lee Campus. He said the university okayed the name change. Rowland said no address changes are necessary by city residents. A street sign dedication ceremony for the new section is being planned for November 7, Billy Graham’s birthday.